A refreshing lemon liqueur contained in a unique silk-screened bottle that has also won overseas customers over. 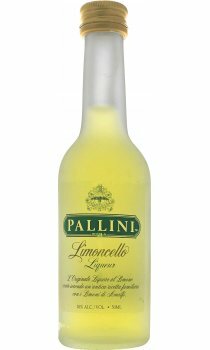 In September 2000 Pallini Limoncello won the gold medal for the "Best Design" on the occasion of the annual competition held in Ohio (U.S.A.) - The Creativity Annual Packaging Design Competition. Pallini Limoncello can be served straight with ice in a glass, edged with lemon juice and sugar. You can prepare a "Martini" by mixing Pallini Limoncello with 1/2 parts of vodka, as well as a "Breeze" with some cranberry juice or club soda.